Yahoo has launched a new login history page to yahoo users. 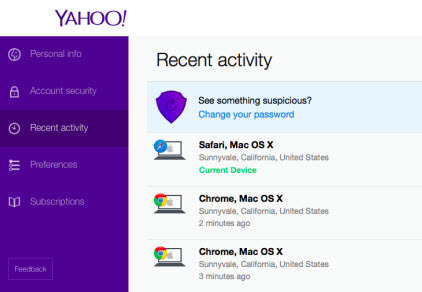 This new feature allows yahoo users full control and transparency into their accounts. where accounts are being accessed from. provides them the tools to take action when needed. see the different devices and browsers you’ve used to sign into your account.